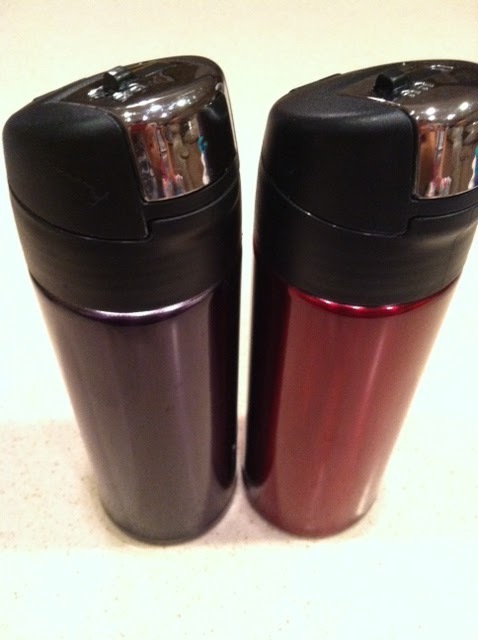 The Helpful Home: Tiger brand stainless steel thermal commuter mug-keeps coffee hotter longer! Tiger brand stainless steel thermal commuter mug-keeps coffee hotter longer! This is the BEST commuter mug to keep your coffee hotter, longer! Don't you hate when you don't have time to finish your coffee and then it's too cold to drink? I've tried several commuter mugs...from Starbucks, Coffee Bean & Tea Leaf, to numerous others. None worked well--they leaked, cracked, and didn't keep my coffee/tea hot for longer than 2 hours. Well, I found the BEST commuter mug. My coffee now stays HOT (not sort of hot, or luke-warm--but very HOT) for up to 8 hours. Warning: the first time I used my mug I burned my throat. Drank it in the car, and had no where to spit it out. Be careful...it will be hot, so you may need to pop the lid to cool it down before drinking. The instructions say to fill with hot water first before adding coffee, but I never do. I pour the coffee directly into the mug, and go!